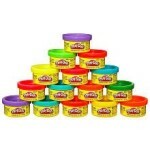 As I went over yesterday I use the Jumbo Mighty Mouth Hand Puppet from SuperDuperInc and I also have used play doh to make a tongue and mold it into the shape it needs to be in for a given sound (you see this on my Tips to Teach the /r/ Post) I like to use the Mini Play-Doh jars, and then give each child their own so they can make their own tongues. Yesterday I went over these items. Here are the links for these items again for your convenience. Dum Dum Pops or Tootsie Pop Mini can be used to touch/rub areas of the mouth to teach placement and awareness and can be used to hold the tongue tip down in the front to prevent the /t/ and /d/ that are typically substituted for the /k/ and /g/. Webber® Jumbo Artic Drill Book on CD-ROM from Super Duper Inc. I have this CD-ROM and use it all the time! Definitely one of the top products I recommend to new SLPs to get you started. Easy Does It for Articulation: A Phonological Approach from LinguiSystems. If the child you are working with is fronting his/her velars and is phonological, this is a great program/set of books. Say & Glue® Phonology & Artic Fun Sheets from SuperDuper. I like to use these for homework when I am in the schools. I print out enough for my preschoolers based on my monthly themes (like Fall, Halloween, Thanksgiving, Christmas, Winter, Valentines Day, etc) and then I write their target words on the sheets and have the children practice at home. 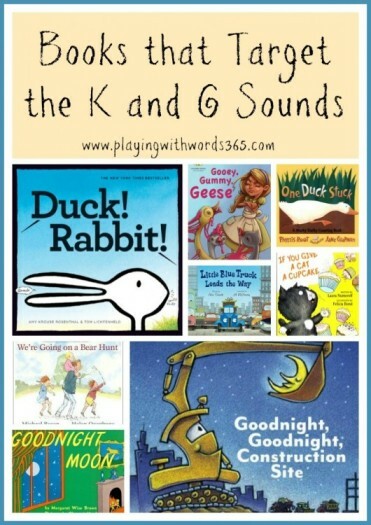 Here are some books that can be used in therapy or at home to target the /k/ sound. 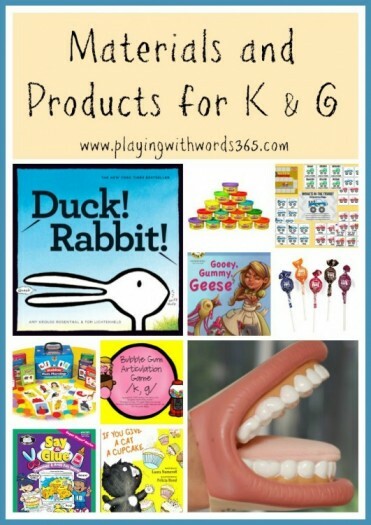 Looking for more book ideas to target speech sounds? Check out Jessica’s book lists at Constantly Speaking. Artic Photos Fun Decks for Articulation from Super Duper Inc. You can get cards for both the /k/ and the /g/. Webber® Photo Phonology Minimal Pair Cards – Fronting from Super Duper Inc. These are great minimal pair cards for those fronters on your caseload. Roll It, Say It Keep It by Jennifer Shamberger (I have this too and like it a lot). 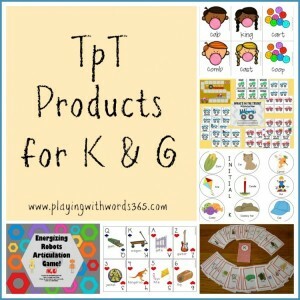 So tell me now…what are YOUR favorite resources and products for the K & G sounds? Let me know so I can include them in the post! Thanks for the link, however it only provides the intro and the /p/ sound, from what I could see.